Cincinnati’s second on-street bicycle parking facility will be installed on Main Street in Over-the-Rhine (OTR) this week. The on-street parking is part of the city’s overall effort to dramatically improve its bicycle infrastructure over the coming years. The new on-street bicycle corral will be installed just south of Park+Vine (map) and will accommodate 14 bikes. City officials say that the bike corral has been ready since November 2010, but warmer weather was desired for installation. The location is currently a no parking zone and will avoid the loss of any on-street automobile parking spaces. 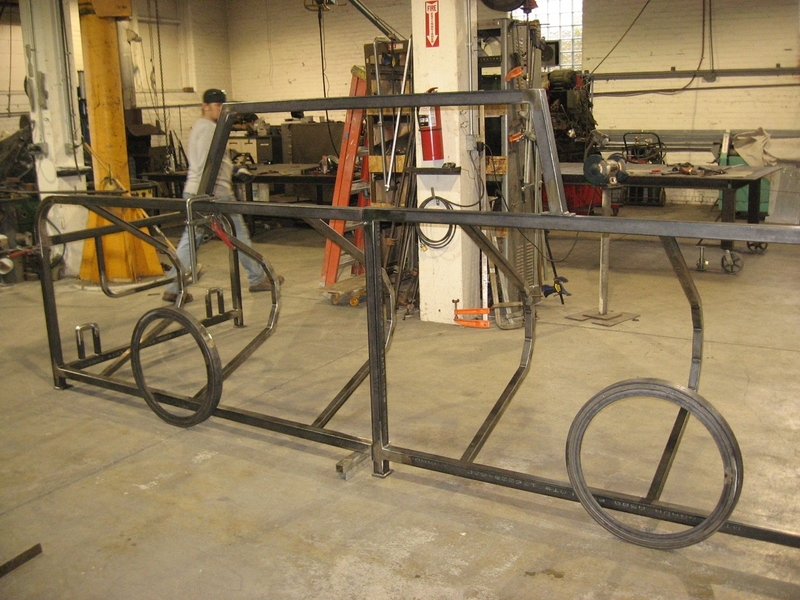 Fabrication, of the bike corral, was performed by Cincinnati-based Vulkane Industrial Arts. The first corral installed in Northside last year cost $1,000, while the new OTR corral cost $4,000.